Calling all new parents and parents-to-be! We all know how storage space in the home is prime real estate. Having a baby usually means you have a house jammed full of toys, clothes and baby essentials. When I shopped for toys and baby gear, I always sought out compact toys so they could be easily stored. Today, toy makers are catching on and there is a growing collection of baby toys to suit modern families, such as the storable and portable PLAYSKOOL Play, Stow and Go line. This Saturday, you are invited to test out a whole range of PLAYSKOOL Play, Stow and Go toys at a special event taking place at Scarborough West Walmart Supercentre. Bring the little ones, too! Where: Scarborough West Walmart Supercentre, 1900 Eglinton Ave. E.
Time: Products will be available for demo from 9 a.m. till 4 p.m. If you can’t make it to the event, don’t worry! You can check out the line up in-store or online anytime. Stay tuned as I share playtime essentials I wish I had had as a new mom and find out how you can win Play, Stow and Go toys from PLAYSKOOL. 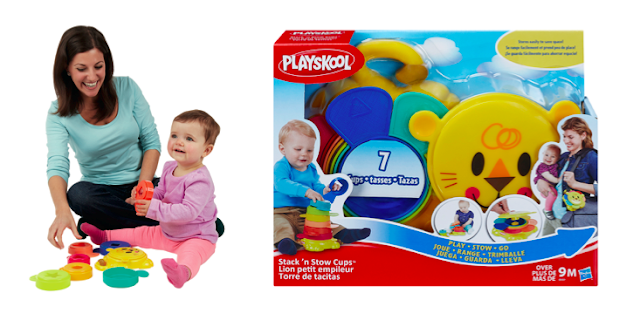 Follow @Hasbronews, @WalmartCanada and the hashtags #PlayStowGo with #PlaySkool and #PlayGamesWithElmo to keep up to date on the latest toys in this collection. Right? Where were they when my babies were little? They would have come in handy for sure. These are awesome toys, I wished the Walmarts down here in our area had demo's! !